Chickenpox, which is caused by the varicella-zoster virus, has continued declining in the United States since 2006, when doctors began routinely recommending a second dose of chickenpox (varicella) vaccine, U.S. health officials said Thursday. 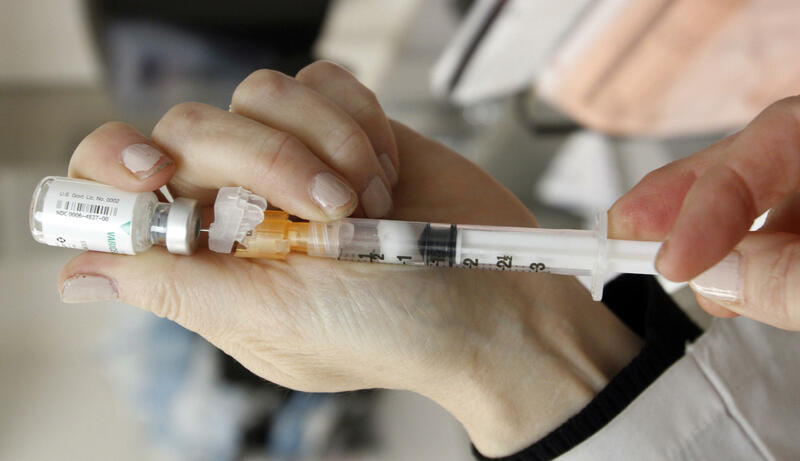 States reporting vaccination data noted an 85 percent drop in the highly contagious disease between 2005-2006 and 2013-2014, according to a report from the U.S. Centers for Disease Control and Prevention. The fall-off was greatest among kids aged 5 to 14, health officials said. This is also the age group most likely to have received the second dose of varicella vaccine. Symptoms of chickenpox include an itchy, blistery rash, tiredness and fever. It tends to be more serious in babies, adults and people with a weakened immune system, the CDC noted. Before vaccination, chickenpox was commonplace, with 4 million Americans on average getting the virus annually in the early 1990s. Of those, as many as 13,500 were hospitalized, and 100 to 150 died in a given year, according to the CDC report. The CDC has credited vaccination with preventing more than 3.5 million cases of chickenpox, 9,000 hospitalizations, and 100 deaths each year. The vaccine doesn’t prevent chickenpox in everyone, but when cases do occur in people who’ve received the vaccine, the disease is usually milder than it is in unvaccinated people, the report said. For instance, people who’ve been vaccinated tend to have fewer lesions. Now, with fewer cases to monitor, state health officials can better study the characteristics of new outbreaks​ -- such as symptom severity, the number of hospitalizations and whether or not patients were vaccinated, the agency said. Scientists say it’s essential to understand why severe cases still occur and whether they occur among vaccinated people. “Further reduction in the number of varicella cases will provide states with increased opportunities for enhancing varicella surveillance and improving completeness of reporting to monitor impact of the vaccination program,” study corresponding author Adriana Lopez and colleagues wrote. When the single-dose vaccine was launched in the United States in 1996, a 90 percent decline in cases followed over the next 10 years. But, because of continued outbreaks, the CDC implemented the two-dose schedule starting in 2006. The CDC recommends kids get the first dose at age 12-to-15 months and the second dose when they are 4 to 6 years old. By 2014, 40 states were reporting data on chickenpox. Just four -- Illinois, Michigan, Texas and West Virginia -- have been submitting data annually since before the varicella vaccination program began. The report was published in the CDC’s Sept. 2 issue of the Morbidity and Mortality Weekly Report.